The Berkshire Hathaway 2018 Annual Shareholders Meeting was underway just shortly after 10:15 a.m. ET, as Warren Buffett and Charlie Munger began with opening remarks. 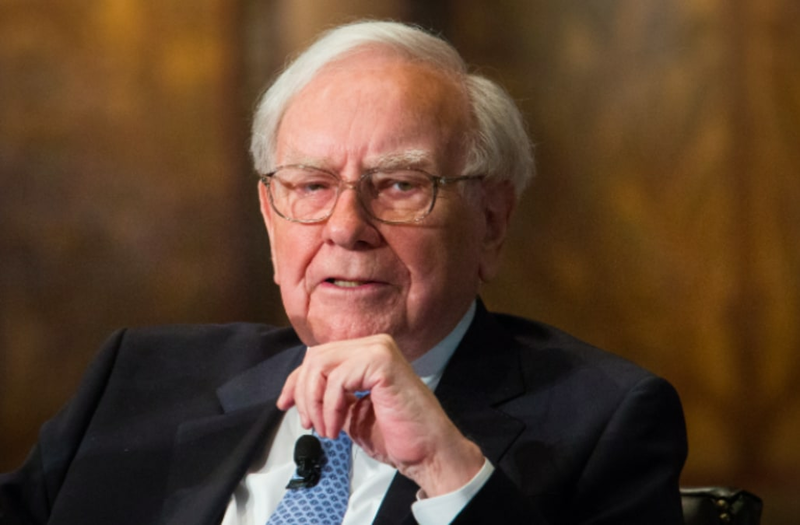 Buffett, known as the ‘Oracle of Omaha’, began with an anecdote on the practice of investing, offering the sentiment that it can "really can be a question sometimes of confusing the forest with the trees." Smart investments must be tracked through time, as we all know, but it’s easy to get caught up in the immediate trials and triumphs, the day-to-day progress or lack thereof and lose sight of the bigger picture. Buffett then told a story of his first investment — three shares in Cities Services that his father purchased for him early in the morning of March 11, 1942, at high of the day (around $55 per share). At the end of the day, however, the value had plummeted, on track with the Dow Jones in its entirety. But a chart Buffett showed next depicted the Cities Services stock skyrocketing to over $180 per share over next few years— only Buffett had sold his shares shortly thereafter purchasing them and made a laughable $5 off of his first dip into the investing pool. "Imagine yourself back on March 11 of 1942 — as I say, things were looking bad in the European theatre as well as what was going on in the Pacific, but everyone in this country knew America was going to win the war … we knew that the American system had been working well since 1776. I’d like you to imagine that at that time you had invested $10,000 and you put that money in an index fund … I’d like you to think about how much that $10,000 would now be worth if you just had one basic premise … and you looked to the output … to see if you made a wise investment." Buffett used the examples of investing in a farm, or a property — something tangible whose progress could be measured by its final success. "Let’s say instead, you decided to put the $10,000 in and hold a piece of American business and never look at another stock quote … I want you to think about how much money you might have now." The audience let out a collective gasp as Buffett flipped to the next slide and an unfathomable number flashed across the screen: $51 million. "You wouldn’t have had to do anything … all you had to do was figure that America was going to do well over time, that we would overcome the current difficulties and if America did well, American businesses would do well. You didn’t have to pick out winning stocks .. you basically just had to make one investment decision in your life … remember that the overriding question is ‘How is American business going to do over your investing lifetime?’"
"We have operated in this country with the greatest tailwind you can imagine at your back … you can’t really fail at it."